Whether you use Google Chat, Skype or a web-conferencing app with more sophisticated collaboration features, chances are you’ve added video to your online meeting toolbox. Integrated webcams are de rigeur on laptops, but their quality can be sub-par for business communications. The the Brother NW-1000 Webcam and the Logitech BCC950 ConferenceCam both cost more than a garden-variety webcam, but they’re not outrageously expensive. And both deliver features that can help business conferees really see what’s going on at the other end of the line. Brother says its high-def (1080p) webcam, the NW-1000, is optimized to work with Brother’s own OmniJoin conferencing and collaboration service. What that really means is that OmniJoin supports all the camera’s features and that the camera is easy to use with the service. You don’t need one to use the other, so the NW-1000 is equally as useful for people who have no intention of using OmniJoin. Brother's NW-1000 webcam only resembles a consumer product. It delivers much higher resolution and is a natural fit for Brother's OmniJoin cloud-based video-conferencing service. The $99 NW-1000 has a stand for sitting on a table or desk top, but the stand can also fold to clip to the top of a desktop or notebook display. It’s physically wider (but at 3.9- by 1.8- by 2.6 inches, no taller or thicker) than most desktop webcams, and it weighs less than four ounces. The camera draws power over a USB 2.0 cable, and is well suited for travelers. It works with Windows XP or later, or Mac OSX 10.5 to 10.8. The NW-1000 delivers very smooth high-def (optical resolution of 1920 by 1080 pixels), and it’s capable of capturing and encoding video to either h.264 or MJPG (Motion JPEG) formats at a full 30 frames per second. Its 71-degree diagonal field of vision is wide enough to allow a couple of people into its wide-aspect-ratio frame. In my tests, the NW-1000 did a good job of adjusting for ambient lighting and delivering good depth of field. People at the other end of Skype calls reported that videos looked sharp and crisp. Brother's VT-1000 speaker phone is the perfect companion to its NW-1000 webcam if you're looking for better voice support. Its built-in speaker was nothing to write home about, but Brother recommends using its portable USB speakerphone, the $99 VT-1000, which can be used either for VoIP calls or as an accessory to one or more smartphones. Like Brother’s webcam, the VT-1000 is also optimized for Brother’s OmniJoin service but can be used standalone, too. Whether or not you use it with the OmniJoin service, the NW-1000 is a competitively priced, capable webcam for people who want better video quality than what they can get from a garden-variety webcam. The $250 BCC950 ConferenceCam is designed for tabletop use with a small group of people sitting in a conference room. It consists of a base with a built-in speakerphone and a spherical camera unit (that’s slightly larger than a softball) that plugs in to the base via USB 2.0. You can attach stick-like extender to the lens component to elevate it. A wireless remote control duplicates the buttons on the camera’s base so that you can operate the controls from up to about 10 feet away. Logitech's BCC950 ConferenceCam delivers advanced teleconferencing features at a budget price tag. The webcam can pan 180 degree and tilt 55 degrees up and down (providing a 78-degree field of vision), which lets you swivel the lens to capture participants around the table without anyone having to get up and move the unit. You can also zoom in and out (up to 2x at high-def, and up to 5x at standard definition), adjust audio volume or mute the speaker, and answer or terminate video calls. In my tests the unit responded quickly and smoothly to remote commands. Attach the provided pole and you can elevate the BCC950's camera element. The BCC950’s image quality is quite good: Plugged into the USB port of a computer (your choice of Windows XP or later, or Mac OS X 10.6 or later), the camera’s Carl Zeiss optics deliver resolution of up to 1920-by-1080 pixels at 30 frames per second with compatible applications, making for sharp images if your broadband network is reasonably robust. In my tests, the camera did a good job of adjusting for ambient lighting, and call recipients reported smooth, clear video. Audio from the speakers was also loud and clear. The BCC950 ConferenceCam encodes using an h.264 codec, and it complies with the UVC standard for USB video, meaning it supports all major videoconferencing and chat applications (e.g. Cisco WebEx, FaceTime, Google Hangouts, Microsoft Lync, and Skype). The webcam can run on either AC power supply or—with a second cable—USB power from the host PC. 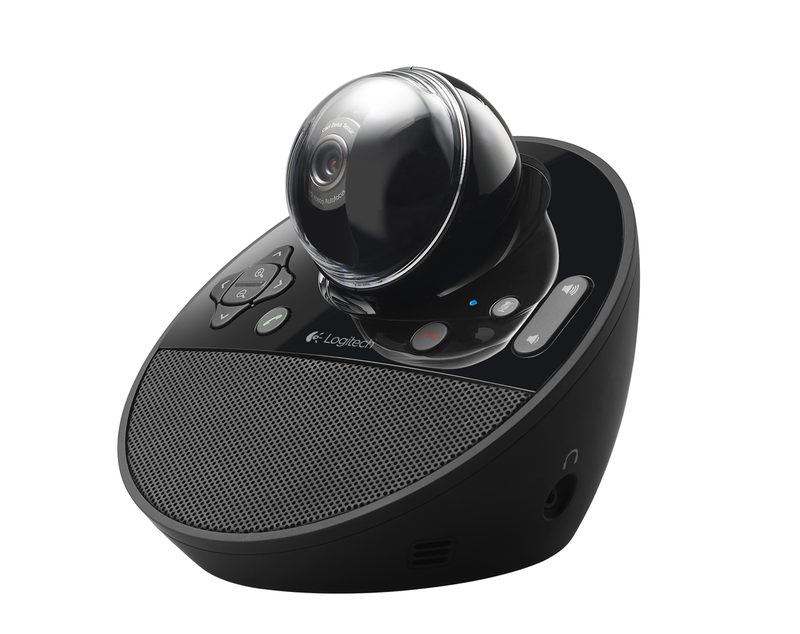 Logitech's camera is a good compromise for businesses that want to conduct small-group video conferences without the need to shell out a lot money for a fancier telepresence system. Editor's note, May 8, 2013: This story was corrected to report that Logitech's BCC950 ConferenceCam can run on supplemental USB power as well as its AC adapter. Whether or not you use it with Brother's OmniJoin service, the NW-1000 is a competitively priced, capable webcam for people who want better video quality than what they can get from a garden-variety webcam. 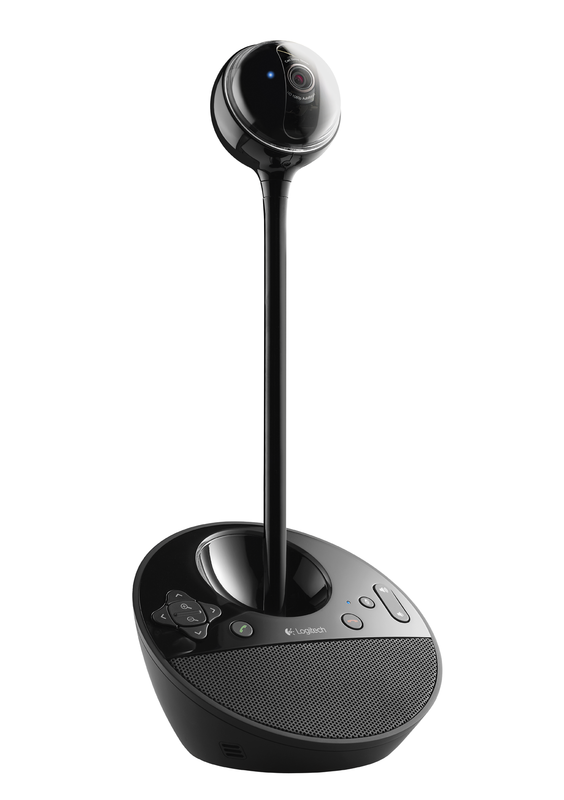 Logitech’s BCC950 is a good compromise for businesses that want to conduct small-group video conferences without the need to shell out a lot money for a fancier telepresence system.